Sooner or later, almost every city slicker tires of the urban lifestyle and dreams of escaping to the countryside. 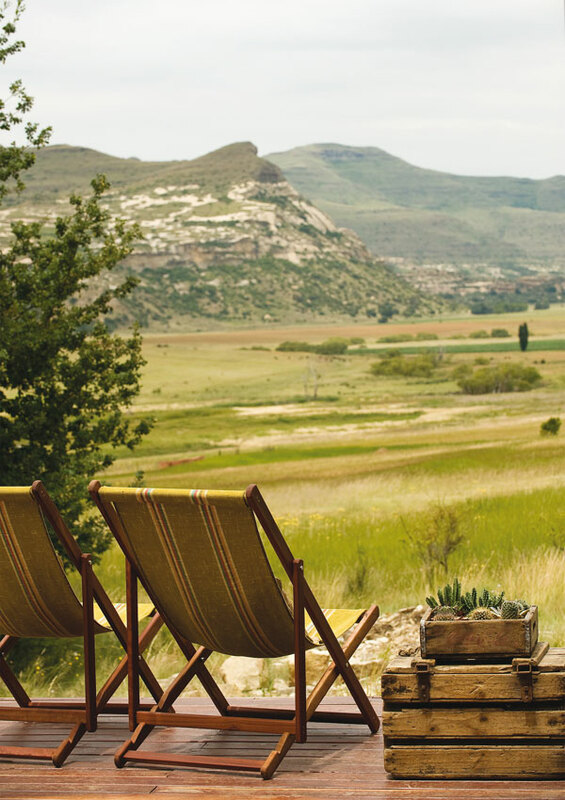 Those who’ve retreated to Rosendal can’t stop talking about their new definition of luxury. Remember when velvet, brocade, gilt and crystal were the ultimate symbols of a luxurious lifestyle? Then came the age of multiples: Why decorate with only one potted aloe when 10 identical pots in a row would be more effective? And now we’re immersed in the hi-tech era in which the ultimate luxury is the latest technology that both looks good and enables us to be connected wherever we are in the world. Yet, inevitably, we’ve begun to realise that all this excess and access isn’t all we thought it would be. 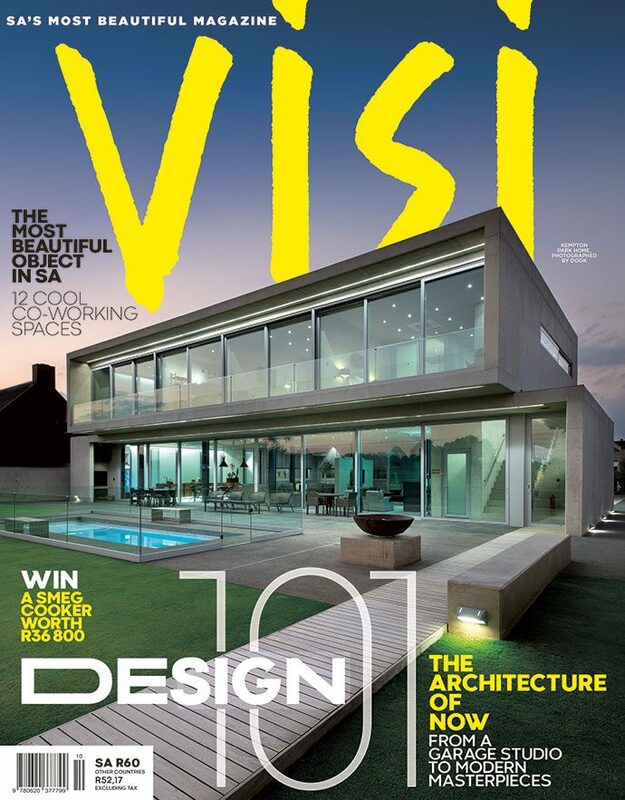 The new luxury – both elusive and exclusive – is a pared-down lifestyle of simplicity, space, time and quiet. Consider Rosendal. This village of no more than 62 houses nestles in the shadows of the Witteberg mountains at the start of the Drakensberg and is, for some, the answer to this yearning for a simpler life. 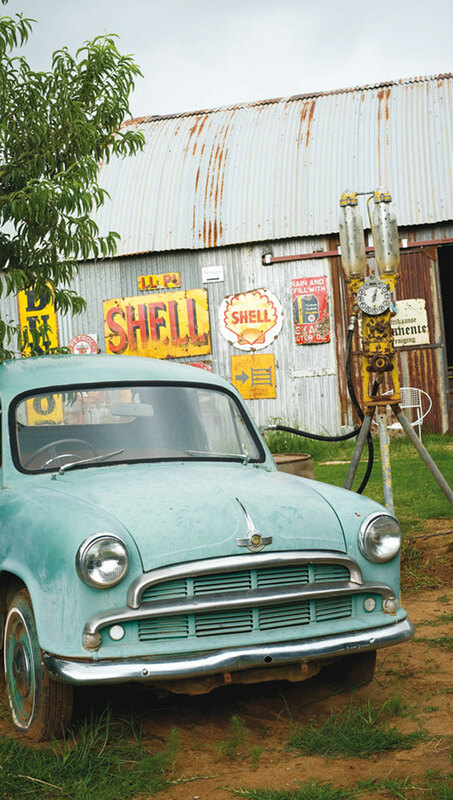 A three-hour drive southeast of Johannesburg on the road to Ficksburg, Rosendal has become something of a sanctuary for artists and other creatives from the city. They speak of the town in a protective tone, fearful that something might happen to break the spell that has healed their busy lives. Some have moved here altogether, while others visit as often as they can for their rejuvenating dose of rural living. Our movement back to a rural way of life has long been forecast by trend analysts such as Li Edelkoort who, from her Trend Union studio in Paris, has watched us slowly turn our backs on the emptiness of a busy and increasingly materialistic urban existence. 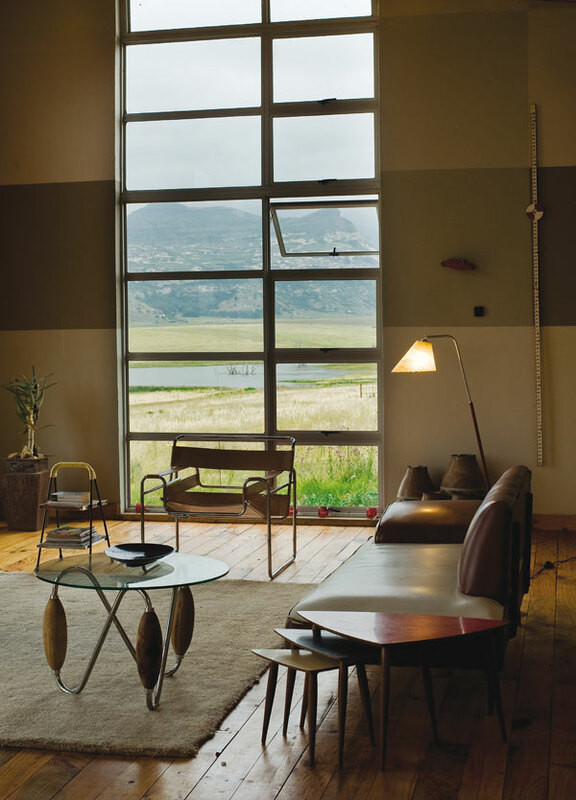 Daniel van der Merwe is a Johannesburg architect who, 12 years ago, felt the magic in the wide open spaces of Rosendal and was one of the first to buy an old sandstone house in the town. He was soon followed by others, including artist Michele Nigrini and, when actor Chris van Niekerk opened a small theatre in Rosendal, the town reached critical mass in terms of its luxury revival. Most recently, Daniel, consulting architect to the Cement and Concrete Institute based in Johannesburg, has designed two new homes for those leaving the city to indulge in the Rosendal way of life. The easiest approach to these designs would have been to replicate the sandstone farmhouse tradition for which the eastern Free State is so famous. 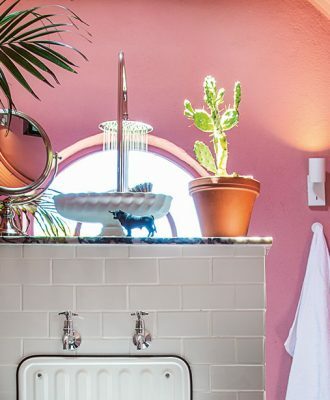 Instead, Daniel felt compelled to create something deeper and more honest than simply a copy of the old and his modern interpretation of the old Free State farmhouse style has become a unique signature. “I decided to play with the typology of farmhouses and farm structures such as sheds and agri-industrial structures,” he explains. 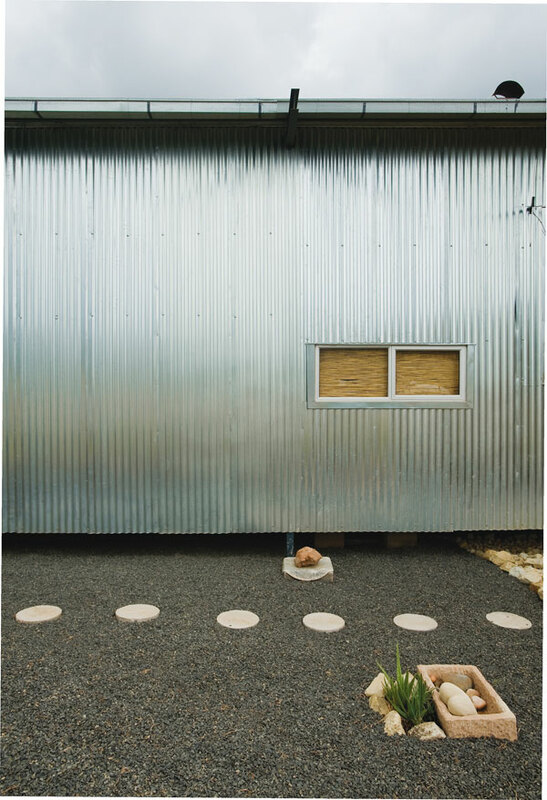 “I began referencing the buildings contextually without being traditionally sentimental. This was not about being a Gold Reef City and simply replicating the old style.” Daniel’s solution for both new homes was to build on stilts since the old stone houses on foundations are cracking up as a result of the region’s claylike soil. 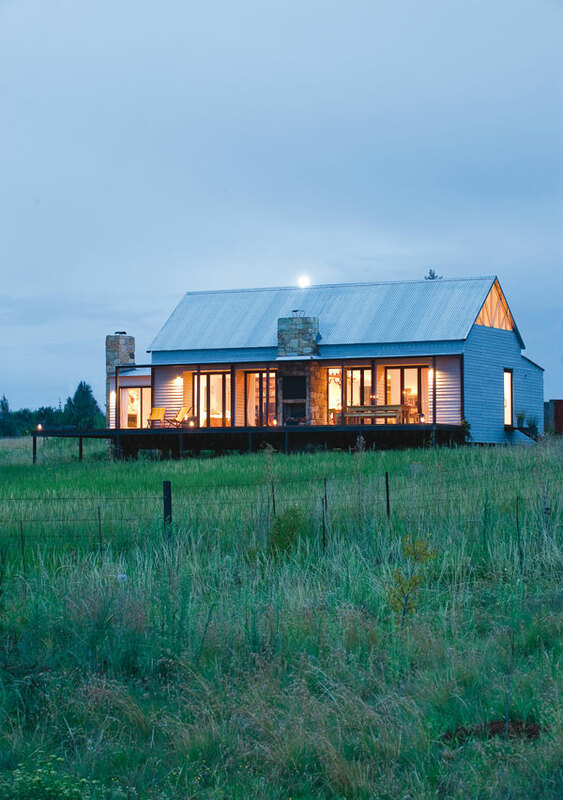 In the first home, designed for flamboyant foodie Yvonne Short, the result is a modern-day farmhouse complete with pitched roof and verandah but constructed with innovative materials that have barely seen the light of day in urban construction projects. Daniel extracted elements from traditional architecture, such as the verandah, the chimney and a stacked stone wall enclosure, but reconstructed them in a contemporary fashion. 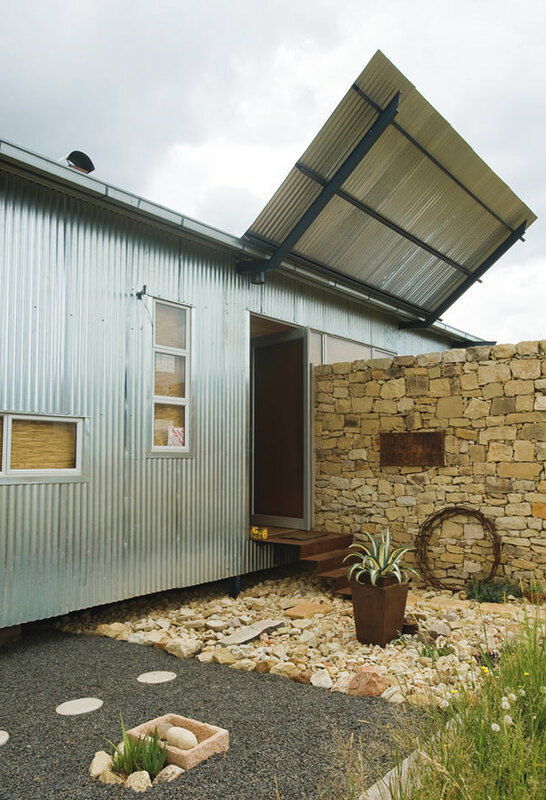 Her house was built using brand-new, lightweight steel frames from Mittal Steel. “You simply send the drawing to the factory and they make up the frame for you – it’s virtually a kit house that clips together,” Daniel explains. The outside is clad with another new material from Everite called Vermont planking – a mix of cellulose and cement that delivered grey, unpainted tones that blend beautifully with the natural landscape. On the verandah, Daniel used yet another innovation called Mikon – polycarbonate sheeting that lets in the light but cuts out 90% of the heat and 100% of the UV rays. 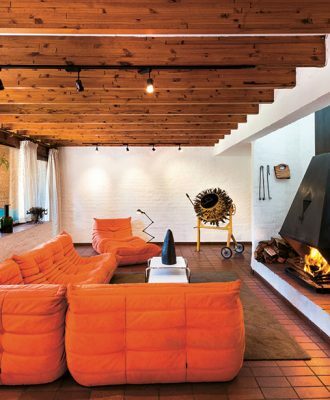 Speaking a similar design language but in an entirely different style, is the nearby home of film producer Wessel van Huyssteen. For his needs, Wessel had asked Daniel to create an undemanding space on a small budget that would be as environmentally friendly as possible. For his inspiration, Daniel turned to the form of a traditional farm shed, complete with corrugated-iron-clad walls, but created an uninterrupted flow that is light yet warm. All the materials were focused on reducing, reusing and recycling. The walls, for example, are insulated with hay to keep out the biting Free State winter and the dry-walling inside is light and inexpensive. 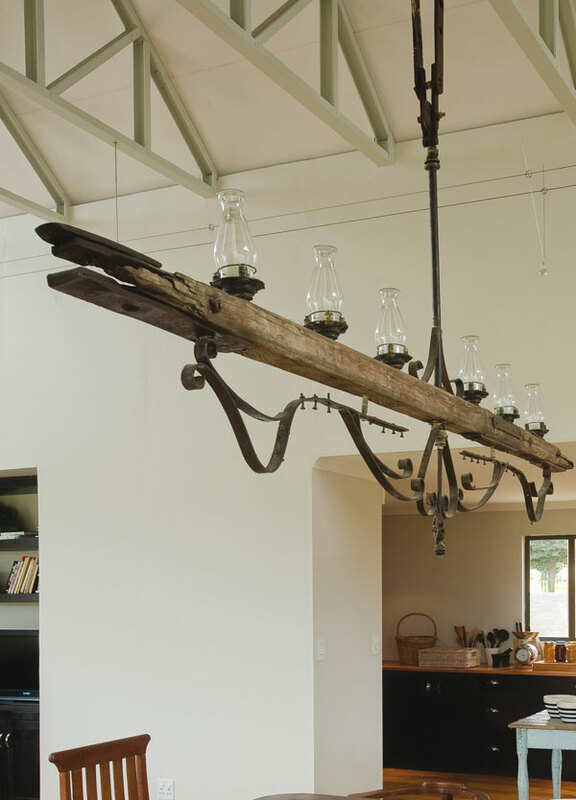 The house frame was built out of recycled timber, the floorboards are made from locally sourced exotics, and old scaffolding planks found new life on the wooden deck. A rain-water tank maximises the use of natural resources and all grey water is redistributed into the landscape. The house is not on the Eskom grid and relies solely on solar power for geysers and lights, while gas provides heating and cooking facilities. Physically and philosophically, both these homes tread lightly on the land says Daniel, and it is this approach that best expresses the new locals’ attitude towards their precious Rosendal. They were brought here by the land and the mountains and both feel passionately about preserving this luxury. Mark Twain once said: “Buy land, they’re not making it anymore.” It’s a concept that captured the imagination of Daniel van der Merwe and he believes that it is only through humble and honest design that towns such as Rosendal will retain their magic.